Some of the best values in Domain/Website Names today are LLNN.com offerings, which are letters & numbers totalling four with a .com TLD (top level domain) extension. These names are readily available, fairly inexpensive and widely misunderstood by many and in my mind, that spells “OPPORTUNITY”. So if you have a valid need for a short .com Domain/Website Name (short, so it’s easy to be remembered and a .com as that is still, without a doubt THE “beachfront property” of this industry) then you just might want to do some research to see if an appropriate Domain/Website Name that you desire is a fit and is still available or for sale as a resale. Here are two examples from the sports industry that just might help you understand. 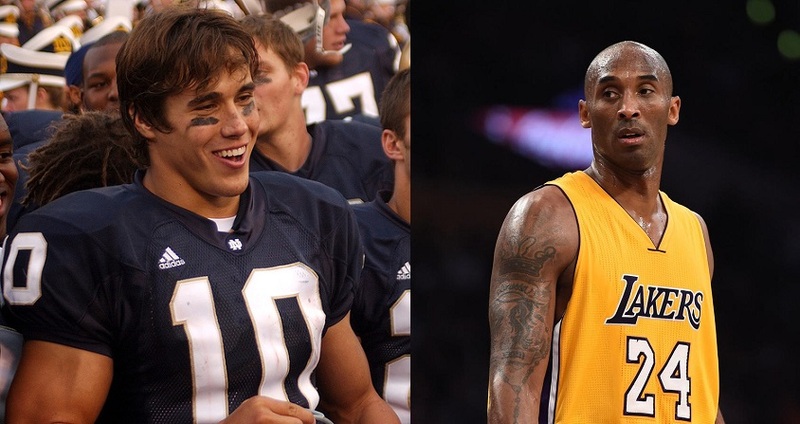 Brady Quinn was an outstanding quarterback for The University of Notre Dame and the number on his jersey was #10. He would be THE perfect candidate to own the rights to www.ND10.com. Kobe Bryant, #24 for the Los Angeles Lakers might just want to own www.LA24.com. It’s probably no surprise that both of these Domain/Website Names have already been acquired long ago. However, according to GoDaddy, they are both listed for sale at $1,859 and $50,000 USD respectively. Finally, do an on-line search to see what’s available in the LLNN.com space as I did when I recently acquired a dozen of these. I’ll hold them for another few years for only $9/year per domain with hopes that I’ll soon turn a nice profit on at least one. Obviously, there are no guarantees. However, for only a few bucks you just might get lucky as so many Domain/Website Name Investors have already.